This page includes all rant entries from the year 2005. Enjoy this look back at your favorite ramblings of the OKRoads webmaster as he took three major roadtrips and graduated college. Good evening. Since I am now done with college, I have a lot of extra time on my hands to work on webpages. I started out last week at the U.S. 58/Interstate 81 juncture in Bristol, Virginia. This morning, I completed the final Interstate 79 West Virginia guide, and am now working on the first Interstate 79 Pennsylvania guide. Progress is being made, but Pennsylvania is only the 8th of 23 states I was in during the summer roadtrip. Still have a loooooong way to go! The temperatures have finally warmed up a bit. Today's high was in the 60s, and tomorrow is supposed to have a high of nearly 70. Now this is what I call good December weather! The 20's and snow can stay in the Northeast. Gas price update: $1.96/gallon at the local 7-11. Tonight's topic: I r a colege gradiate! I done got me an edumacation! It was another good week for road sign replacement. Signage on Interstate 35 North that has been replaced include the 1/2 mile advance signage for N.E. 36th St., the mileage sign 1/4 mile later, the mileage sign prior to the S.E. 33rd St. exit in Edmond, and the 3/4 mile advance signage for the S.E. 15th St. exit in Edmond. Plus, I saw today that the signage on Interstate 240 West approaching Interstate 35 has been replaced. Pictures will be taken soon, and will be integrated into webpages by the time I turn 50. On the webpage front; I completed pages for Interstate 26 North Carolina, Interstate 26 Tennessee, U.S. 23 Virginia, and U.S. 58 Virginia. I also created the Interstate 81 home page. Tomorrow I hope to do the Interstate 81 Virginia page. It should be a very slow week at work, and now that I don't have school anymore, that means I don't have homework anymore. No more homework, no more finals, no more 35-minute one-way drives five days a week, no more school! And it is a great feeling. Well, I'm going to update my bio page, since I r now a gradiate. See y'all later, drive safely, and Merry Christmas! Tonight's topic: This is it! Good evening, and welcome to my final rant entry as a college student. Just one final per day for the next four days is all that separates me from the graduation ceremony Saturday afternoon. After the week I had last week, I'm ready for it to be over! I spent about 5 1/2 hours at school Friday, which is 3 1/2 hours more than usual. I had a lot of things to finish up. Last week was the best week for new road signs in the Oklahoma City area in a long time. The S.E. 33rd St. exit (Exit 139) on Interstate 35 northbound now has a brand new sign. Also, signs on Interstate 240 eastbound from Interstate 35 to Eastern Avenue were replaced. Actually, I saw one of the new signs at the Pole Rd. exit (Exit 4C) being put up this morning when we were on the way to church on the bus route, which meant I didn't have the camera. Bummer. Some things are more important than road sign pictures. Gas price update: $2.04/gallon. Back to over $2/gallon again, but hey, I only have this week left of driving 60 miles to and from college five days a week. This morning, I was able to look at the plans for the new Interstate 35/Interstate 240 interchange. Unfortunately, it looks like there will still be two loop ramps; one from Interstate 240 east to Interstate 35 north (which is likely the most-used movement between the interstates), and from Interstate 240 west to Interstate 35 south. Interstate 240 will also be realigned slightly between Shields Boulevard and Pole Road. The rest of the movements will be via a stack, though, which is nice. Also, ramps from Interstate 35 northbound to S.E. 66th Street and from Interstate 35 southbound to S.E. 82nd Street will depart during the Interstate 240 interchange complex. Construction is scheduled to start in 2007. That is all I have for tonight. See y'all later, and drive safely. Next entry: reflections on my life in education as it will have concluded (for now, at least) by the next entry. Tonight's topic: The last full week of college is here! Good evening. Well this week is it for me; the final regular five-day week of my college life. Next week I have four days of finals and that is it! I have nine days of school left, and have either presentations or finals on seven of them. Tomorrow is one of the two days without any presentations. I have finished almost all of the South Carolina pages from the summer trip, with the exception of the final westbound Interstate 26 and Interstate 126 pages. This week will be busy, but I still hope to have both of these done by the end of the week. The gas price update for today is as follows: $1.91/gallon, up from a low of $1.82/gallon in the middle of last week. My opinion on the bowl games: Tulsa has a better chance of beating Fresno State than OU does at beating Oregon. I think OU is going to get trampled, because Oregon is the #6 team in the country and is the highest ranked team not in a BCS bowl game. As for the national championship game, my worst fears have been realized. I will be pulling for USC, despite the fact that they whooped OU in last year's title game. Hey, it's better than rooting for that team from the state south of the Red River. That is all I have for tonight. Next week's rant will be the final one of my college life. See y'all later, and drive safely. Good evening. After some prodding from my mother to take the digital camera to take pictures of the family in Joplin, I decided to take the camera. So that meant that I did get some road sign pictures taken. I ended up taking Route 66 from Joplin to Oklahoma City, so pictures from the Mother Road are now available on the site. They can be viewed from this directory. Gas price update: $1.85/gallon by the house, paid $1.84/gallon yesterday. In Joplin, Missouri, gas was $1.88/gallon at 95% of the gas stations in the city. Tulsa was at around $1.93/gallon as of Friday afternoon. The Oklahoma Sooners defeated the Oklahoma State Cowboys in a football game yesterday by a score of 42-14. Proving once again that OSU had a sorry season. While Les Miles is enjoying leading LSU to the SEC Championship, OSU is suffering with Mike Gundy as coach. Not sure if he should get all the blame for a poor year, but all I know is that they were bad! Maybe it was my high school classmate Billy Bajema, a 2005 OSU graduate who played tight end for the Cowboys and who is now playing for the San Francisco 49ers. Tulsa, on the other hand, is on their way to the Conference USA championship game. Whoda thunk at the beginning of this season that Tulsa would be the only football team in the state to go to the conference championship game? I certainly didn't. And by the way, I may actually pull for Texas if the national championship game is USC-Texas, because I would really like to see USC lose. Of course, I would like to see neither team win it all, since I don't really like either one of them, but this year, it looks to be a pick of the "lesser of two evils." As for our professional basketball team, the Hornets are on a 2-game winning streak and currently stand at 6-6 for the season. Considering that they won all of 18 games all last season, they're looking a whole lot better this season. Maybe it's their newfound home court advantage in OKC. Maybe it's Chris Paul. Maybe they're just playing better as a team. Who knows. Well, I talked more about sports than roads tonight because there's no road news to speak of. I hope everybody had a good holiday weekend, and please drive safely this week as the normal grind resumes. Sayonara. Good evening. Last week there was finally some progress on the Interstate 35 sign replacement project. No BGS's were replaced, but several assurance shields along the side streets near the interstate between Interstate 40 and Interstate 44 West were replaced. It was about time that some work was done on it. I have completed all Interstate 40 guides. It only took six months, but they are now all done. Tonight I completed the Interstate 440 North Carolina guide. Next will be guides for North Carolina 132, U.S. 17 North Carolina, and U.S. 17 South Carolina. The gas price update for the week is good: gas is now $1.86/gallon near OKRoads headquarters. Only 16 more school days remain until I graduate! The graduation day is four weeks from yesterday. Reality is starting to hit a little - I got something in the mail yesterday from the alumni association inviting me to a graduation celebration next Wednesday, and will be sending out graduation announcements tomorrow. I like it. I like it a lot. This week is Thanksgiving. I have the day off, so I will be taking a trip to Joplin to spend time with relatives, eat, and watch football. Don't expect any road coverage, since I just did the drive from Oklahoma City to Joplin 4 1/2 weeks ago during the St. Louis/Fall Foliage Roadtrip. Speaking of the last major roadtrip; I have not renamed any pictures from it yet, and probably won't for a while. All I have to say about yesterday's OU football game is that I think they got gypped. (Is that a word? It is now!) And OSU, as in Oklahoma State stinks, after losing to Baylor by 10 points in a game that they were once down by 38 points! Oklahoma State is the new Baylor of the Big XII. Sad thing is, Tulsa is the best football team in the state, with a record of 7-4! Go Golden Hurricane! That's all I have for tonight. See y'all later, and drive safely. Tonight's topic: Now that tests are over for a while, it's time for major updates! Good evening. I had two tests last Friday, and I think I stunk it up on both of them. Oh well, it's just one test in each class, and I don't have any more tests until December 12, the first day of Finals Week. I have an essay due Thursday and a couple of group projects, but besides that, I don't have anything else major to do until Finals Week! The graduation countdown is now at 34 days, soon to be 33. For most of last week, I didn't do anything on the website. Once all the tests were done, however, I began the updates. I completed the first two Interstate 40 North Carolina guides Friday, completed the third on early Saturday morning at work, started on the fourth page that same morning, and finished it up just a few minutes ago. There will be eight total Interstate 40 North Carolina guides; seven from eastbound, and one from my limited westbound trips. After those are complete, the plan is to complete guides for Interstate 440 North Carolina, North Carolina 132, U.S. 17 North Carolina, and U.S. 17 South Carolina. By the end of this week, my goal is to have all of the Interstate 40 North Carolina guides completed, the Interstate 440 North Carolina and North Carolina 132 guides finished, and the U.S. 17 North Carolina guide at least started, if not completed. On a trip along Interstate 40 in west Oklahoma City last week, I discovered that the two sign goofs I reported back in Entry 152 have been fixed, before I got pictures of them. :( Oh well, sometimes you feel like a nut, sometimes you don't. As for the construction progress; eastbound is complete, while westbound is still being worked on. Gas price update: $1.91/gallon at the 7-11 by the headquarters. Gas pump stopped at exactly $20 worth of gas to fill up the tank on Wednesday night at $1.94/gallon. Much better than the nearly $30 I paid in early September after Hurricane Katrina. That is all I have to say tonight. See y'all later, and drive safely. Good evening. The countdown currently stands at 41 days until graduation. I had two tests last Thursday, and have two more this Friday. After that, I don't have any more tests until finals week. On the website, I got a lot of work done last week, even though I know there is still much more work to do. I have completed all Interstate 40 Tennessee guides, and did the Interstate 140 and Interstate 275 guides. I started on the Interstate 40 North Carolina guides this past week, and am almost done with the first eastbound page. I haven't uploaded the latest update I did on the page, but I have written picture descriptions down to the eastern terminus of Interstate 240. Construction on Interstate 40 in west Oklahoma City is coming to an end. From reports I have heard, striping was being done Saturday, and I noticed a couple more new signs put up. Sometime this week I hope to take pictures of the new signs on Interstate 40. As for the Interstate 35 sign replacement project, the only thing done in the past few weeks is that the old sign gantry supports at N.E. 50th and N.E. 23rd have been taken down. Other than that, there is nothing new going on. I got an e-mail last week regarding sports and how I didn't mention any sports news last week so I will mention some this week. Oklahoma City is now a major league sports town, at least temporarily, with the debut of the New Orleans/Oklahoma City Hornets. They are currently 2-1, which is better than their 0-3 record last year after three games. The Hornets won 18 games all last season, so this year, they are already 11% of the way there. The past couple of days have been a bit crazy for me. I've put in some extra hours at work, and we had a couple of large groups there that gave me a headache, especially last night. I was so worn out that I almost missed church tonight. I woke up from my "nap" at 5:45 when church starts at 6. I made it to church during the choir opener, so I didn't miss much at all. That is all I have for tonight. See y'all later, and drive safely. Tonight's topic: 48 days to go! Good evening. The countdown has begun. Just 48 more days until ... I graduate from college. It is getting closer and closer, praise the Lord. Anyhoo, I did some website work last week. I am in the process of completing the final Interstate 40 eastbound page for the state of Tennessee. This is from Day Two of the Summer 2005 Roadtrip. I am hoping to finish the page by the end of the day Tuesday. And looking back at the Interstate 140 pictures I took during Day Two of the trip, I realize that some of those pictures make some I took during the St. Louis/Fall Foliage Roadtrip look really good! You will hopefully see what I mean by the end of the week, as after I complete the Interstate 40 Tennessee pages, I will be doing the Interstate 140 Tennessee and Interstate 275 Tennessee pages before moving on to the Interstate 40 North Carolina pages, which will take a while. Besides that, it's been a pretty uneventful week. But that's OK, after having several consecutive eventful weeks, it's good to take a breather every once in a while. So I will bid you faithful rant readers adieu, and will ask y'all to please drive safely. Good evening. The St. Louis/Fall Foliage Roadtrip concluded yesterday morning at 9:44 AM, after just under 1,650 miles of driving since Wednesday. In terms of mileage, this was the shortest roadtrip I have done since the Plains & Panhandles Roadtrip in July 2002, which was before I used a digital camera. But it was still an all right trip. The first day and the final day had the best weather conditions, with sunshine. The middle two days (which made up about 3/4 of the trip's mileage) were mostly cloudy, except for some of the trip between Springfield and St. Louis, and some occasional sunshine near Hot Springs on Friday. The bonehead driver of the trip award goes to the driver of a white minivan who zoomed by me on Interstate 44 west of St. Louis on Thursday morning, then proceeded to slow down right in front of me because they were signaling the semi truck driver to the right of us to blow their horn! Some people are just weird. Also, the squirrelhead in the white Pontiac who merged onto Interstate 270 north of St. Louis and immediately sped up and cut off everybody in the three westbound lanes, including myself, merits a mention as being a bonehead as well. Honorable mention goes to the driver of a red Pontiac (Something about Pontiacs, I guess), who was tailgating me on Arkansas 7 between Harrison and Jasper, which isn't intended to be a high-speed highway, then blew by me at the first opportunity, then as they were passing someone else less than 1/4 mile in front of me, a semi came around the corner and the Pontiac had to slam on the brakes and get back over! The cloudy skies, unfortunately, played a lot of tricks with some pictures. More pictures than I would have liked to were somehow affected due to the lack of lighting, plus the terrain I was driving in. I tried to use the flash for some pictures, but this made matters worse a few times. But it was a gamble either way. At least I tried. Anyway, by the time the pages from this trip are up, we will have forgotten about all of this. Actually, I wouldn't be surprised if I didn't get to this roadtrip's webpages until late next year. It's only because of the type of job I have now that I even get the work done on the site that I get done now. A couple of road-related notes from the trip: the U.S. 62/U.S. 63/U.S. 412 bypass of Hardy, Arkansas, is now complete. I attempted to take pictures, but unfortunately, several of them were a bit blurry. The bypass was scenic, though, I thought. Also, the U.S. 270 freeway in Hot Springs has exit numbers, but they appear to be sequential. Arkansas 7 goes through the heart of Hot Springs, and much of it was under construction, which made the drive through there quite interesting, plus Friday (the day I was there) was the first day of a documentary film festival there. Also, gas prices in Hot Springs were $2.62-$2.69/gallon, compared to $2.18-2.29/gallon in McAlester, and $2.07/gallon in Oklahoma City. The highest gas prices I saw were in Corning, Arkansas, near the Missouri border on U.S. 67, where regular unleaded was $2.79/gallon on Thursday afternoon. The cheapest I paid for gas was on Wednesday, when I paid $2.27/gallon in both Edmond, Oklahoma, and Springfield, Missouri, where yes, I did make it in time for church, and had a wonderful time. I took a side trip into downtown St. Louis to see the old Busch Stadium for the last time, just hours after the final game was played there. I drove Interstate 40 just west of Interstate 44 today, where construction is wrapping up. New signs have been put up on Interstate 40. I noticed two sign goofs that I hope to photograph before they are changed, both on eastbound: 1) The Portland Ave. exit has an Exit 144 tab, where it is actually Exit 146 (the gore point signage is correct, however), and 2) the pull-through panel on Interstate 40 at Interstate 44 indicated Interstate 40 and OK 3 East, where OK 3 runs along Interstate 44 in both directions, and it is actually U.S. 270 that is duplexed with the interstate here. That is all I have for tonight. I hope to wake up early tomorrow and start on an essay that is due Tuesday morning at 11. See y'all later, and drive safely. Good evening. I am still battling problems on the laptop. It has some quirks to it that are a bit annoying, but at least it is mostly functioning normal again. Wednesday: After class, I will take Interstate 44 East to Springfield, Missouri, where I will attend church that night. Time is of the essence on this day, as Springfield is 280 miles from Edmond, and church starts at 7. I am hoping to make just one stop between Edmond and Springfield. Thursday: From Springfield, I will take Interstate 44 East to St. Louis. After a short stop in downtown St. Louis to see the progress of construction on the new Busch Stadium and to see the old Busch Stadium for the last time, I will take Interstate 70 West to U.S. 40 East, which turns into Interstate 64 East. From "Highway Farty," I will take Interstate 170 North to Interstate 270 East to Illinois 255 North to Illinois 140 West to U.S. 67 South to Missouri 367 South and back to Interstate 270 West. I will take Interstate 270 west and south to Interstate 55, where I will then pick up U.S. 67 South. I will spend most of the remainder of the day on U.S. 67. After reaching Corning, Arkansas, I will take U.S. 62 East to Arkansas 135 South to U.S. 49 South to Jonesboro. Time permitting, I will drive future Interstate 555 and some of the local highways of Arkansas' 5th largest city, which is where I will spend the night. Friday: I will take U.S. 63 North from Jonesboro to U.S. 62 West. From there, I will take Arkansas 206 West to Arkansas 7 South, which I will take from Arkansas 206 to Hot Springs. I will then pick up U.S. 270 West to U.S. 71 South to the Talimena Scenic Drive. After driving the scenic drive, I plan on continuing on Oklahoma 1 West to McAlester, where I plan to spend this night. Saturday: The plan for this day is pretty simple. U.S. 270 West to Oklahoma City. That's it. The forecast for this trip changes from day-to-day. My guess is there will be some rain and some sun. Hopefully more of the latter than the former, especially on Friday. Driving on mountain scenic routes in rain isn't too much fun. Gas price update: $2.17/gallon in many places, $2.15/gallon near my house. It's wonderful. I have started on Interstate 40 Tennessee webpages. I have completed the first eastbound page, and have started on the second. I hope to have it done by the time the trip begins. Good evening. It felt so good to have a normal work schedule last week for the first time since August. There's just something good about being able to sleep at night instead of during the afternoon like it was for me the previous week. The last couple of days have not been very good for my favorite sports teams. The only positive things that have happened in the world of sports this weekend (in my opinion) were that Nebraska lost yesterday and the Dallas Cowboys won today. Other than that, I will have no comment. Speaking of the St. Louis/Fall Foliage Roadtrip, it is almost nine days away! I made a slight addition to the trip route to include Jonesboro, Arkansas, which is where I will end Day Two. I will cover the trip plan in more detail in next week's rant entry. I had the great privilege of reinstalling Windows XP on my laptop on Friday night. That was fun. But, hey, it fixed the computer problems, and now almost everything is working like it is supposed to. There are still a couple of little kinks, but other than that, it is A-OK. Because of the reinstall process, I backed up both of my websites on CDs. That was a lengthy process, but was worth it, since previously, the only places I had files stored was on the laptop and on the Internet, and not everything on the laptop is on the Internet. Today's bus route update: we had to use both hands to count the kids today! Six kids rode today, praise the Lord! It feels good to count all the kids with two hands again. The last time we had that many riders was over a month ago. I have finished all the webpages from Interstate 40 Arkansas from the Summer 2005 Roadtrip. This week, I plan on completing the westbound Interstate 40 Arkansas pages (not much more than a simple cut and paste from the previous page), and would like to get started on Interstate 40 Tennessee pages. The way I see it, is I've done 480 miles of pages from the roadtrip, and I only have 6,129 miles and 21 states to go! At this pace, I should complete all the roadtrip pages by around February of 2008. I forgot to say in last week's rant that most of the gore point signage has been replaced on Interstate 35 between Interstate 40 and Edmond. Also, the sign bridge at Interstate 44 West was taken down last weekend for replacement, but had not yet been replaced as of Friday afternoon. I will see tomorrow if any new signs appeared this weekend. That's all I've got to say tonight, so see y'all later, and drive safely. Tonight's topic: Announcing the next major roadtrip! Good evening. Finally my stretch of working ten consecutive overnights is over. And as usual, this morning's was the worst of them all. It's always the last one that's the toughest. I am looking forward to sleeping in my bed tonight in the middle of the night for the first time since Wednesday night, September 21. My schedule is so thrown off now, I can barely remember what day it is and what I'm supposed to be doing that day! Gas price update: it got as high as $2.89/gallon here, but I saw gas at one place tonight for $2.66/gallon. Closer to home, it is $2.71/gallon. On the bus route today, we had four riders. We can almost count all our riders on two hands again! I began creating the first page for Interstate 40 Arkansas from the Summer 2005 Roadtrip. I am mostly done with it, with just a few descriptions left to write. Since I uploaded the latest edition of the page, I have written descriptions for pictures up to Clarksville. I have a couple of papers to write in the next 36 hours, so I probably won't finish the page until later this week. OK, so you're probably getting angry with me because you saw the topic and you want to know what's going on. Well, this morning (and the past week and a half) have convinced me to take a mini vacation, no matter what the gas prices are! So barring any unexpected difficulties in taking one night off work, I am proud to announce the St. Louis/Fall Foliage Roadtrip, to take place October 19-22. As the title suggests, I will be going to St. Louis, but that's only part of the trip. From there, I will spend some time on U.S. 67 in Missouri and northern Arkansas, U.S. 62 in northern Arkansas, and Arkansas 7 from Harrison to Hot Springs. I will also drive the Talimena Scenic Drive once again. I hope to create a webpage for the trip this week. So you ask, you've barely started pages from the last roadtrip that was 11 days and 6,600+ miles long and here you go taking another roadtrip?! Yep, that's exactly what I'm doing! But believe it or not, I haven't covered St. Louis interstates very well on OKRoads. I have driven most of Interstate 170, part of Interstate 270, and all of Interstate 70 in the St. Louis area, but that was before I started OKRoads. So with this trip, I plan on driving all of those interstates, along with the newest stretch of Interstate 64 that has been completed since I "clinched" the interstate in August 2003. This trip looks to be about 1,800 miles long. I am looking forward to it, since it is my last fall break. Well, that is all I have for tonight. I need to start my papers or otherwise I'll have another fall break next year! See y'all later, and drive safely. Good evening. Tonight is night #4 out of 10 consecutive overnight shifts. It stinks. Plus, the weekend was one of those where I was doing something almost every hour, so I didn't have much time to rest! But it was a good weekend for the most part. Today on the bus we actually had three riders! Praise the Lord! We are basically in a rebuilding mode on the bus route right now. We just have to keep working at it and keep praying that God will provide the increase. Speaking of increases, due to Hurricane Rita, the gas price, which went as low as $2.30/gallon, currently stands at $2.59/gallon. I have a feeling that tomorrow, the price will shoot up quite a bit. So I think I will top off the tank on my way home from work in the morning. Before the gas prices jumped, though, I took a roadtrip around parts of south-central Oklahoma on Tuesday. I drove through Duncan, Lawton, Anadarko, and Chickasha. The temperature was in the 90s (some bank marquees listed temperatures over 100) but the skies were clear to partly cloudy. I got much improved pictures of OK 24 and OK 74, and also covered lengthy stretches of U.S. 62 and OK 7 that I had not previously driven on. Tonight, I plan on starting the webpages for Interstate 40 Arkansas. I finished Interstate 40 Oklahoma pages (with the exception of Oklahoma City) back on Saturday morning. The Oklahoma City area pages will be made later, as I have taken new pictures of the highway, but have not gotten around to changing the file names on the pictures yet. I figure at this rate, I'll get done with the webpages from the Summer 2005 Roadtrip in about, oh, July of 2006, right when I am planning on taking the Summer 2006 Roadtrip to the Pacific Northwest! Oklahoma City is now a major league sports town, at least, temporarily. Unfortunately, it took a hurricane to do it, but the New Orleans Hornets basketball team will call Oklahoma City home for 35 out of 41 home games this upcoming season. The team will be named the New Orleans/Oklahoma City Hornets for their home games at the Ford Center in downtown OKC, but will be called just the New Orleans Hornets for their road games. After 22 years of my life spent here with semi-pro sports teams abounding, we finally have a major league sports team, even if it just for one year. Even if it is the Hornets, who won just 18 out of 82 games last season, and even if it is NBA basketball, which is my least favorite professional sports league (even after the lockout, I still like the NHL better, albeit not that much). With the way OU football is going right now, Oklahomans need something sports-related to cheer about! Also, my soon-to-be-alma-mater, UCO, is doing terrible this season in football. They are 1-4 so far in NCAA Division II. It is not a good year to be an Oklahoma football fan. Yes, OSU is 3-0, but look at the teams they've played: Montana State, Florida Atlantic, and Arkansas State. Not necessarily the cream of the crop. That's all I have to say for this evening, so see y'all later, and drive safely. Good evening. It was yet another day of zero kids on the bus. At least the other 20 buses did great, as there were almost 700 riders today. Too bad we didn't bring in any of them. I'll be brutally honest: it is getting discouraging. Part of me wonders whether I may be getting called to serve in another capacity. Maybe I just need to take another vacation - that helped us out a few months ago! But, the good news is, I will be doing a mini trip of sorts on Tuesday afternoon. I am going to drive some of the Oklahoma highways I drove early on in the history of OKRoads and take new and improved pictures of the road signs. Highways I plan to cover include OK 7, OK 24, OK 74, and U.S. 62. Also in Oklahoma highway news, the signs on Interstate 35 northbound at N.E. 23rd St. should be replaced by now, as I noticed the new sign bridge being prepared near that exit on Friday. I was able to look at the contract between ODOT and the sign company, and it said that there are 270 days allocated for the sign replacement project, so that equals to nine months. That's probably why it's taking a while. That means it is supposed to be almost complete, if not fully complete, by the end of this semester, since I believe this project began around March of this year. Gas prices around OKC are now between $2.30 and $2.40 per gallon for regular unleaded, an 80 cent drop over the past two weeks. If the average price is below $2.50/gallon in mid-October, I will be taking a roadtrip during fall break. You read that right - I have a trip planned during fall break, if gas prices permit. More about the trip in future rant entries. Maybe one night I'll prop up a page on the trip without announcement. A couple of hints: about half of the trip is on non-interstates, it will take me through four states, and I will be driving interstates in a city within one day's drive of OKC that I have not driven on yet. Speaking of webpages, I did get one page created and another one updated last week. This week and next week I will be working almost all overnight shifts, so I should hopefully have plenty of time to create more pages. Good evening. I'm going to keep this short. I have an essay due Tuesday and I'm probably going to get a low grade on it. I had a test on Friday, and I don't think I did too well on it either. I dislike the beginning of the semester because I don't know what to expect and how things will go. All I have to do is pass this semester and that is it. No webpage work was done last week, and chances are not too much will be done this week either. Maybe this weekend will bring some new webpages, but until then, I have a full schedule of studying, writing, and work. That's all I have tonight. See y'all later, and drive safely. Good evening. Last week will be a week to be remembered for a very long time in American history, with Hurricane Katrina and the devastation it caused. Please continue to be in prayer for those affected. There are people scattered throughout the country who once lived in New Orleans, Biloxi, or Mobile whose lives have been turned upside down by this hurricane. And yes, the gas prices spiked. They reached as high as $3.09/gallon in OKC, but have fallen the past couple of days to a more reasonable $2.99/gallon. Several stations, though, are still over $3/gallon. My older brother has become the road scholar of the family the past few weeks. He is now on his second work-related week-long trip to Plymouth, Wisconsin, which is just west of Sheboygan. I can't even say I've been to Sheboygan. Of course I've been asking him about what routes they took up there and the scenery and all that. Makes me kinda jealous, since I'm stuck here for my last semester of college. Oh well. In road-related news, the signs on I-35 northbound at NE 63rd St. were replaced last weekend. I am thinking that there won't be any new signs that were installed this past weekend (as in September 3 & 4) because of the holiday weekend. Progress has been made, though, as supports for new sign bridges have been placed between I-40 and N.E. 50th, and a couple of sign bridges in Edmond have been taken down. I think they have made more progress on the sign replacement project in the two weeks I have been in class than they did all summer long! Sure seems that way to me. Well that is all for this week. I am off work tomorrow so I am going to enjoy a nice day off. Yeah right, as I've been fighting a cough, runny nose, and sore throat for the past couple days. See y'all later, and drive safely. Anyway, one week down, 15 to go of school. I am still passing my classes, but I haven't had any assignments yet. Looks like it's going to be a fun semester with a lot of writing ahead. In one class, I have four essays to write. Another class, I have a project to do, and another class, I have case studies. So it's going to be a lot of time spent at the computer and on the pencil and pen. Oh well, this is the last semester! I am almost done with the webpages from the May trip to Kansas City. I have just a few more picture descriptions to write and I will be done. Then it will be on to pages from the summer trip. That will be fun. Part of me wants to take a couple days off in October during fall break to do a mini trip, but I probably won't end up doing it. We'll see how things go. On Friday, it looked like a couple of new sign bridges may have been put up in the past couple days on I-35 in northeast OKC. The bridges were sitting near the old ones, and normally when they do that, that means they will be replaced on Sunday morning. I will find out tomorrow, since I am back to driving on I-35 between SE OKC and Edmond five days a week. Good evening. I made a little bit of progress on webpages last week. I completed pages for U.S. 69 Kansas, Kansas 10, Missouri 2, and Missouri 58. I still have pages to create for U.S. 40 Kansas, U.S. 59 Kansas, and U.S. 71 Missouri. The first two shouldn't take me too long, but the third one may take a couple of days. Well, tomorrow is the beginning of the end. The last first day of school I plan to have. I am taking 12 hours of classes this semester, with Transportation & Logistics and Strategic Management being my classes tomorrow. My classes on Tuesday and Thursday are International Management and Age of Technocracy (Technology & Democracy put together, whatever that means). I have some complicated class names this semester! I guess that's what happens when you get down to your final semester of college. I think Transportation & Logistics could prove to be an interesting class, since I maintain websites about roads that transportation uses and have taken a lot of pictures of semis along the way! Actually, T & L is an elective for me; the other three classes are required, but I needed 12 hours to be full time, so I added in T & L.
Tonight was a historic occasion at the church, as we dedicated our three-phase, six-year-long building program. It is finally complete! Just think, when it started, I was a senior in high school. A lot of things have happened since then! I've seen a few prospective Mrs. Eric Stuve's come and go, but maybe sometime before I'm 90, she will show up. My gas price record still stands, as I was able to fill up for $2.45/gallon last week. Now that I'll be back in school, though, I'll be gassing up the car every five days. Yippie yi oh ki yay! Well, ba deep ba deep ba deep that's all folks! See y'all later, and drive safely. Happy early Monday morning from OKRoads headquarters. I finished the picture renaming process on Thursday for those pictures I took from the Summer 2005 Roadtrip. I have resumed work on webpages. Currently I am adding new pictures to already existing pages for those highways in Kansas and Missouri that I drove during my trip there in May 2005. I hope to be done with those pages by the end of the week so I can start on pages from the Summer 2005 Roadtrip by the end of the week. This will be the last week of much free time, as I will be going back to class next Monday. The final semester is about to begin! Both directions of traffic on Interstate 35 near Shields are now using the northbound lanes. The overpass carrying northbound Shields over southbound I-35 is now being used to carry southbound Shields to southbound I-35 traffic, which I though was a bit interesting. I guess they're going to work on the new c/d lane of sorts between 27th and 12th first before demolishing the old overpass. I am glad I took my trip last month, because at least around here, gas prices have gone up 30 cents in the past week. It is now $2.47/gallon here! When I paid $2.45/gallon in Mahomet, Illinois, on July 11th, I thought that would be the highest I would have to pay for gas for at least a few months. Well, it looks like that record is going to last for one month. Not too much else is going on, except for some cool temperatures and some rain in Oklahoma City that we rarely see in August. Actually, this is the second straight August that we have had a cool spell here. I remember last year's well because I was on my trip to Minnesota, Wisconsin, and the Dakotas, and I was freezing in 50-degree weather with short sleeves on and no jacket! See y'all later, and drive safely. Good evening. I have renamed all of the pictures from the first eight days of the roadtrip. This leaves just the trip between Rochester, Minnesota, and OKC left to rename pictures for. I hope to finish the picture renaming process this week and begin work on pages next week. Actually, the first pages I'll be working on will be those related to my May trip to Kansas City. It's mostly adding pictures to existing pages, with a couple of new pages added. I did make up some sleep this past week. I have two weeks left before the fall semester begins. At least my schedule isn't too difficult, with classes from 11 am-1 pm on Monday, Wednesday, and Friday, and from 9:30 am-12:15 pm on Tuesday and Thursday. I only have to make it through 16 more weeks, and then I will graduate! I am looking forward to my last 1st day of school. Well, I don't have too much else to say tonight. I've got to wake up early in the morning to take someone to the airport. Good thing I can come right back home and go right back to sleep until 2 or so in the afternoon. See y'all later, and drive safely. Good evening. It sure was a busy week. It was a good week, though, as I got the opportunity to teach 1st graders in Vacation Bible School. Even though many of them were little brats, I know that I did the best I could to teach the word of God to them and that's all I can do. I'm thankful for the opportunity to do so. It started out kind of weird, as I overslept on the first day and didn't make it onto the bus. At least the driver and one helper were there, and I still made it in time to teach. Three lanes of continuous southbound traffic (up from two). This will eliminate the main I-35 bottleneck in the state. The curve that southbound I-35 traffic takes at Shields will be straightened out. The 12th Street exit on southbound will begin just south of the 27th Street exit before I-35 heads underneath northbound Shields. The onramp from N. 27th St. to I-35 South will be eliminated. Traffic will be put onto the new c/d lane for the 12th St. exit, which means that after this is done, both 27th and 12th street traffic will be using the same on-ramp to get onto I-35 South. This is bad news, considering that the acceleration lane present is about as close to nonexistent as you can get and still be existing. The southbound frontage road will be moved slightly to the west to make room for the new c/d lane. I-35 Southbound will now have three continuous lanes through the Shields interchange! No more weaving for I-35 Southbound to N. 12th St. traffic, as 12th St. traffic will exit off the interstate almost one full mile before 12th St. itself! The onramp from 12th St. to I-35 South is too short and dangerous as is, but now it will be used for 27th St. traffic as well. This can not be good. Suggestion: Add a slip ramp from the new c/d roadway to I-35 South, located just past Shields. In other news, I have plotted out the trip route for the Summer 2006 Roadtrip. I know, you're asking, isn't it a little early? Well, I like to plan ahead on some things, and I'm not planning any other trips between now and then. (I think I have enough pages and pictures from this summer's trip to keep me occupied until next summer's trip!) As previously mentioned, the trip will take me to the Pacific Northwest. Plans are to go through 12 states, including, obviously, Oklahoma, but also, New Mexico, Colorado, Wyoming, Montana, Idaho, Washington, Oregon, California, Utah, Nebraska, and Kansas. Cities along the route include Colorado Springs, Denver, Cheyenne (2 times), Seattle, Portland, OR, San Jose, San Francisco, Boise, and Salt Lake City. A page will be created sometime before the year is over, I guarantee it, as long as the Lord is willing to let me live that long. On the picture renaming process from the summer trip, I am now working on Day Five. I have made it to Danbury, Connecticut. Still got a long way to go! My work schedule this week will allow me much time to work on picture renaming, so I hope to get through Day Six by the time the week is over, and maybe get started on Day Seven. I am hoping to be working on webpages from the trip beginning in September. I hope to finish all Summer 2005 Roadtrip pages by next summer's trip. You have to keep in mind that I'll be back in school in three weeks, it's my last semester before I graduate, and I hope to have a real 9-5 job with benefits and good vacation time by the beginning of 2006. Amen, and amen. Well, that is all I have to say for tonight, and it took me parts of two months to write this! See y'all later, and drive safely. Good evening. Today I went 3-for-3 in church teaching and preaching times that I fell asleep during. I guess I'm tired. So why am I still up? I don't know. I've got to wake up at 7 am each morning this week because it is the time of year for Vacation Bible School once again! This year I have the privilege of teaching 1st graders for the second time in three years. At least one of my best friends is one of my helpers so maybe it won't be so bad. I have finished renaming pictures from the first two days of the summer roadtrip. I am halfway through Day Three's pictures. This week I don't expect to get too much done, since I'll be spending a lot of time studying the Bible school lessons. One comment I forgot to make in last week's rant was that on my return trip, I drove on Interstate 35 in Edmond and northeast OKC. This allowed me to check the progress of the sign replacement project. I saw a grand total of one new overhead sign since the last time I was on the highway 2 1/2 months ago. Needless to say, I was disappointed about the lack of progress. Most ground level signage has been replaced, but some of it is incorrect. For example, all of the Interstate 35 reassurance shields in Edmond also have a U.S. 77 shield. Thing is, U.S. 77 exits off southbound at Exit 141, and the reassurance shields at both mile markers 139 and 140 have the Interstate 35 and U.S. 77 shields! But the error Exit 137 gore sign at the Memorial Rd. exit on northbound (which is actually Exit 138D) has been removed, but no replacement sign had gone up as of July 15. I give the sign contractors a F so far for the extremely slow pace they are making and the errors they are making. Case in point: the Interstate 240 sign replacement project was done by a different contractor in November and December 2004. All of the overhead signs on the five mile stretch of the interstate were replaced within a 3-week period, and the ground level signage was replaced within a few weeks afterward. And the one sign error that was on the old signs was corrected with the new sign, and there were no new errors, except for the lack of an exit tab on eastbound I-240 at I-35 South (Exit 4A), and that was corrected in April. Well I need to get some sleep tonight so I can prepare to preach to 6 and 7 year olds tomorrow. See y'all later, and drive safely. Good evening from OKRoads headquarters. The Summer 2005 Roadtrip was 11 days long, took me through 23 states, 5 of them for the first time, and was 6,609 miles long. The longest days were Day Two at 825 miles and Day One at 824 miles. After that, I drove between 700 and 800 miles only twice more. The lowest amount of miles driven in one day was the last day, when I drove 169 miles from Wichita to Oklahoma City. Out of 11 days, there was no precipitation on four of them, and three of those days were the final three days of the trip. The other rainless day was Day Six, when I drove from Albany to Cleveland via Niagara Falls, which was just about the best day to not have any rain. The most I paid per gallon of gas was $2.45 in Mahomet, Illinois, and the least was $2/gallon in Conway, Arkansas. I clinched 20 interstates on this trip, with Interstate 40 being the biggest prize. I also clinched Interstate 26, Interstate 79, and the eastern Interstate 86. I drove about 1,000 miles on Interstate 90, which took me from 1% of that interstate driven to 34%. The worst day of weather was Day Three, but it didn't start out that way. It was sunny for the first 200 miles. Then I entered the remnants of Tropical Storm Cindy, and all broke loose from there. The newest hotel I stayed in was the Holiday Inn Express in Princeton, West Virginia, which was just eight days old when I was there on the night of Day Three. The most expensive rate I paid was at the Comfort Inn of Castleton, New York, southeast of Albany, where I paid $119.95 plus tax! It was a nice and relatively new property, but I don't think the room was worth $135 with tax! Four nights of Holiday Inn employee rates ($29) helped ease that burden a bit. I drove through several cities for the first time, including Raleigh, Charleston (SC), Pittsburgh, Hartford, Springfield (MA), Albany, Niagara Falls, Cleveland, Cincinnati, and Milwaukee. I had the opportunity to attend church Wednesday night the 13th at the Midlands Baptist Temple in Omaha, where a good friend of mine is the youth pastor. He and his wife recently celebrated their first wedding anniversary and the birth of their first child. Yep, they did their part to fulfill the Eric Stuve Baptist Family Statistic. I can't wait until I get my opportunity to fulfill my statistic. But I think I ended up seeing more new territory with the way the trip turned out than what I had planned. I didn't get to clinch Interstate 71 and most of Interstate 65 like I had planned, but I made up for it by driving a lot of Interstates 39, 74, and 90. Anyway, the southeast U.S. is already covered very well by the AARoads guys, and the midwest is not covered by them. But now the fun really begins; the picture renaming process is underway. I have gone through Day One's pictures and written down the new file names for the pictures, but won't actually change them until later this week. Tomorrow I hope to begin the process of writing down new file names for Day Two's 1000-plus pictures. This is going to take a while. Then it will be time to do webpages from all these highways I drove. Plus, I still have updates to do from my trip to Kansas in May. It's going to be a very long time before everything is done. I just hope it all gets done by the time next summer's roadtrip comes, which by the way, is my next roadtrip planned. Since I'll be graduating from college in December, I won't have Spring Break anymore, and I'm not planning a fall or winter break roadtrip. Well, before I go off into la-la land and a fantasy world that is far from reality, I will close this rant for tonight. As much as I loved being gone, it is good to be home and to be around people who actually know who I am and care about me. See y'all later, and drive safely. Good evening. Unfortunately, I got here just late enough to not have enough time to get cleaned up for church, so here I am at the Holiday Inn of Cleveland. Six days and over 4,200 miles(!) have passed so far on the Summer 2005 Roadtrip. I have been through Oklahoma, Arkansas, Tennessee, North Carolina, South Carolina, Virginia, West Virginia, Pennsylvania, New York, Connecticut, Massachusetts, Vermont, New Hampshire, and Ohio. Due to Hurricane Dennis, I deleted the part of the trip from Louisville to OKC and am now planning to continue in the midwest. The new plans for the rest of the trip will take me through Kentucky, Indiana, Illinois, Wisconsin, Minnesota, South Dakota, Iowa, Nebraska, and Kansas, which will bring the total number of states during the trip to a whopping 23! Tomorrow I will be getting the oil changed for the second time in five days, as I got it last changed Wednesday morning in Asheville, North Carolina and have driven over 3,000 miles since then. Early tomorrow, Lord willing, I will crack 100,000 miles on the official car. Right now it is sitting at around 99,980. The worst weather was definitely on Day Three, which was Thursday. The remnants of Tropical Storm Cindy made for a harrowing drive across the Appalachians. That is a reason for the reroute of the remainder of the trip. I've already driven through one tropical system and it was not fun! The best weather so far was today, as it was sunny almost all day. Highlights so far include clinching Interstate 40 at 5:10 pm on Wednesday, entering downtown Pittsburgh via the Fort Pitt Tunnel on Friday afternoon, and visiting Niagara Falls this afternoon. Well, I am going to close this entry for now and plan out tomorrow. And maybe get some actual sleep. I have averaged about six hours of sleep a night, and 12 hours of driving a day. See y'all later, and drive safely. Good morning. I am at work right now but it is worth it. Things have worked out to where this is the last time I have to work before vacation. No, I've not been fired (as of yet), but the Lord has worked a lot things out. So in seven hours, my vacation will begin. Sort of. I will be spending the 4th of July with my family before heading out tomorrow morning at about 6:30. Strap in because this rant is going to take a while. I will try to provide a rundown of what I expect to see on this trip and what highways I will be traveling on. So, as with any good review, let's start at the beginning. Day Two (Wednesday 7/6) - Starting between Nashville and Knoxville, I will lose an hour early on in the trip. I will stop in Knoxville for the first oil change of the trip, and take a couple of small sidetrips in the Knoxville area along Interstate 140 and Interstate 275. After that, I will continue east on Interstate 40 to its eastern terminus at Wilmington, with a sidetrip along Interstate 440 in Raleigh along the way. After reaching Wilmington (which will clinch Interstate 40 for me), I will head south on U.S. 17 and end up either in southeast North Carolina or northeast South Carolina. Route: Interstate 40 East to U.S. 17 South (with sidetrips along Interstates 140 and 275 in TN and 440 in NC). Day Three (Thursday 7/7) - Continuing south on U.S. 17 to Charleston, SC, where I will then drive Interstate 526 and drive on the old bridges over the Cooper River just days before the new bridge opens. From Charleston, I will head northwest on Interstate 26 to its western terminus (with a short sidetrip along Interstate 126 in Columbia, SC), then continue on Interstate 181 and U.S. 23 to U.S. 58 East. From U.S. 58 East, I will take Interstate 81 North to Interstate 77 North. I hope to end up somewhere in West Virginia. Route: U.S. 17 South to Interstate 526 East to Interstate 26 West to Interstate 181 North to U.S. 23 North to U.S. 58 East to Interstate 81 North to Interstate 77 North (with sidetrips along Interstate 126 in SC and Interstate 381 in VA). Day Four (Friday 7/8) - Starting in West Virginia, I will continue northward toward Pennsylvania. This is the day I hope to visit Pittsburgh and enter the state of New York for the first time on Interstate 86. This day's route may change since I had an extra day added at basically the last minute, not that I terribly mind that. Just stay tuned to OKRoads and there may be some surprise destinations on this day. Day Six (Sunday 7/10) - Sunday is the Lord's Day, and since I won't be home, I need a place to go to church. I plan to visit Cleveland Baptist Church in Cleveland, Ohio, on Sunday night. So Cleveland is my goal for this day. Day Seven (Monday 7/11) - I will head south on Interstate 71, with sidetrips planned along the Columbus and Cincinnati beltways. After reaching the southern terminus of Interstate 71 (which will clinch that interstate), I will head south on Interstate 65, which is where I will stay until its southern terminus in Mobile, Alabama. I hope to make it to Tennessee on this day. Day Eight (Tuesday 7/12) - Assuming a start in Tennessee, I hope to make it to Mobile, and head east on Interstate 10 for a short sidetrip along Interstate 110 in Pensacola, FL. After that, I will head back to the west on Interstate 10 to Interstate 59, with a sidetrip along Interstate 110 in Biloxi, and take Interstate 59 north. On a side note, this is also my 22nd birthday. Day Nine (Wednesday 7/13) - Continuing from Interstate 59 in Mississippi, I plan to take Interstate 20 West to Interstate 220 in Shreveport (while making a sidetrip along Interstate 220 in Jackson, MS, which will clinch all interstate mileage for Mississippi). From Shreveport, I will take U.S. 71 North to Joplin, MO, with trips along AR 549, AR 245, and other Texarkana highways along the way. Day Ten (Thursday 7/14) - Basically finishing what is left of U.S. 71 and then taking Interstate 44 from Joplin to home. This may extend into a Day Eleven depending on what progress I make on the previous days. In other news, we had 10 kids on the bus yesterday. We have gone from 0 to 5 to 10 in three weeks. I hope they have 20 on the bus in my absence next Sunday. No matter how many kids we bring in, all the glory belongs to Him. Also, my right rear tire went flat yet again last Thursday, and had to get it replaced yet again, so I am now on my 3rd right rear tire in two months. Not good! I just hope that I don't have another flat during the trip! In website news, I will start (and hopefully finish) the Interstate 44 Texas guide from South Texas Part 2 shortly. I have completed the Interstate 20 pages and the U.S. 277 guide from my travels during that trip. That is all I have to say tonight. See y'all later, drive safely, have a good rest of holiday weekend, and I hope to be writing next Sunday night from Cleveland, Ohio! Good evening. I feel much better this week than I did last week at this writing. We had five kids ride the bus today. Plus, I got a letter in the mail yesterday from UCO that said as long as I pass all four of my classes this fall, I will be graduating in December! So it's a blessing to finally get official word about that. Another bit of good news is that it's just about to become nine days left to go until my trip! I plan on being gone for nine days, so basically the time between now and the beginning of the trip will be the amount of time I will fit the trip into after the next nine days are over. Next week in the rant I will go over the trip plan and what I hope to accomplish each day on the road. I am continuing to make slow progress on the South Texas Part 2 pages. I have now made it to Day Three, as I started the Interstate 20 pages yesterday morning. I hope to finish it tomorrow or Tuesday, and would like to get at least started on the Interstate 44 Texas page (the final page) by the end of the week. I may make an Interstate 44 Oklahoma page, even though the pictures from there will probably also appear on OKHighways soon. I don't really have too much to write home about tonight so I will close. See y'all later, and drive safely. Good evening. Since the last rant, I have been sick. It started with the stomach flu on Monday, and now it's a cold. Kinda weird to have a cold when the temperatures are nearing 90. It's probably all the rain we've had in the past couple weeks. Well, this week looks like it's going to be hot and dry with highs nearing 100 and no chances of rain in sight. But we did need the rain though. I am thankful for that. We set a new record today on the church bus route, but it's not the kind of record I want to be known for. We set a new record for lowest amount of bus riders on one Sunday. The number of kids who rode the bus today: zero. It's a bit depressing. We did what we normally do on Saturday, and we ran the bus as usual this morning, but nobody was home yesterday or today, and the ones who were home did not come for some reason or another. Plus, it's Father's Day today, and this is my 9th one without my dad here. But I am thankful that this is my 8th Father's Day with a Heavenly Father. Work on pages from South Texas Part 2 is slowly progressing. I have finished most of the Interstate 10 pages, with a few descriptions left to add to the San Antonio to Fort Stockton page and a few pictures and descriptions to add to the Fort Stockton to New Mexico page. I've got just over two weeks left to make progress on these pages (and the ones from my Kansas City trip in May) before the big summer trip. I may take a mini trip this week along Interstate 35 to see if any new signs have been put up in the past month in Edmond and north Oklahoma City. I would hope so, considering it's been over a month since I was last up there. Well, I am going to end this rant for this evening. See y'all later, and drive safely. Good evening. We are in the midst of a thunderstorm right now as I type this. But I thank the Lord because we need the rain. It has rained a lot in some parts of Oklahoma the past few days. This will help the state begin to get out of the drought that we've been in for a while. In two hours the countdown will be 23 days until the Summer 2005 Roadtrip begins. I am very very very much looking forward to it. With over 5,000 miles of driving planned in 10 days, it will be a lot of driving, but will be a lot of fun. I am moving along on creating pages from South Texas Part 2. I have started on the second page for Interstate 10 pictures with coverage from San Antonio. The first westbound Interstate 10 page, the one with pictures from the Sam Houston Tollway to San Antonio, was completed last week. I hope to move on to Interstate 20 eastbound pages this week and also hope to get started on pages from Day Three of the trip. After these pages are done, then I will be adding a lot of pictures from my trip a few weeks ago to Kansas and Missouri to the respective pages. I don't have too much else to say tonight so I will close. See y'all later, and drive safely. Good morning. I am at work on this early Monday morning making a little extra money while I can. I won't go into detail here, but my employment at the hotel may be ending sooner than planned. It's not my fault, but sometimes things happen and things are beginning to look a bit cloudy in the near future. I am seeking the Lord's wisdom during this time. If for some reason I do lose this job before July 6, that will mean I can take a longer vacation! I've already got the plans made if that were to happen (which isn't too likely, I don't think, but this is 2005, the Expect the Unexpected year). The new plan would be the same as the current one, except after seeing the eastern terminus of Interstate 86 in New York, I would continue east and visit the New England states, and then backtrack and resume the original plan. Again, I don't think it's very likely that that would happen, but there is a slight possibility. And part of me would really like to be in seven new states on this trip instead of just one! Just 30 more days until the Summer 2005 Roadtrip is planned to begin. And I've still got a lot of pages to do. This past week I got a few pages done, and I'm just about through with pages from Day One of the South Texas Part 2 trip. That's really about all I have to say for tonight. See y'all later, and drive safely. Good evening from OKRoads headquarters. In the past week, I have renamed the pictures from the first two days of my trip to the Kansas City area last weekend, and have created two new highway guides from South Texas Part 2: Loop 288 and the President George Bush Turnpike. On those two pages, I am experimenting a new way of setting up the table. Instead of limiting the size of the table, I am leaving it stretched across the entire screen. I will probably do that for the remaining new pages unless I get some response saying that y'all don't like the table stretched across the whole screen. Pages I hope to get done this week include those for U.S. 75 in Texas (the Central Expressway plus a couple of pictures I took in May of last year near Denison), hidden Interstate 345, the Hardy Toll Road, the Sam Houston Tollway/Parkway, and Interstate 610. In 90 minutes, the countdown to Day One of the Summer 2005 Roadtrip will be 37 days. The trip is scheduled to begin early on the morning of July 6. I hope to make it past Nashville on Day One, and hope to make it to near Myrtle Beach, South Carolina, on Day Two. After that, I'm not going to predict where I'll be, because from that point, the trip route will become more complicated, with more sidetrips around area interstates and stops in Pittsburgh, Niagara Falls, and any other cities that I would have time to see. This week, the Lord answered my prayers about needing female work on the church bus. Now we have two young ladies who are working on the bus. This gives us five workers including myself, which should mean an average of 2 kids per worker this summer, since I hope to average 10 this summer on the bus. We had half of that today, which meant that we had a 1:1 worker-to-kid ratio. I'm going to close by saying thank you to all of the military troops who are out serving this great nation. Not only should we remember those who have fallen while doing service to their country, but we should also be mindful of those who are currently serving in Iraq, Afghanistan, and other places around the world. See y'all later, and drive safely. Tonight's topic: Live from Missouri, it's Sunday Night! Good evening from my relative's house near Freeman, Missouri, which is about 40 miles south of Kansas City. I have spent the past couple of days shuttling between here and Lawrence, Kansas, where I saw my cousin graduate from the University of Kansas. It felt weird being an OU Sooner in the middle of KU Jayhawk country, but oh well. In all reality, I'm a UCO Broncho, but still I felt like I was in enemy territory. Part of me wanted to wear an OU shirt. Either that or a Bucknell shirt for the basketball team that knocked KU out of the first round of the NCAA tournament back in March. It looks like it has been scorching hot in Oklahoma City since I left for the weekend. The high temperature was 96 Friday, 98 yesterday, and 99 today, all record highs. Tomorrow's forecasted high: 89. So it's going to cool off just in time for my return. So far I have taken about 850 pictures in three days. This week's picture of the week is one of them. Pages for Interstate 435 Kansas, Interstate 635 Kansas/Missouri, U.S. 69 Kansas, U.S. 71 Missouri, and Kansas 10 will have new pictures on them. (At least, the first two will; the other three don't have new guides made yet) On the way up here on Friday, I discovered that the northern OK 69A's northern terminus has been truncated to U.S. 69 instead of the Kansas State Line, and Alternate U.S. 69 has reappeared in far northeast Oklahoma. Pictures have been taken and will be seen soon on OKHighways. I also have photographically re-covered Interstate 244 in Tulsa; those pictures will also be over at OKHighways soon. I'm writing this early tonight because I have to leave early tomorrow morning in order to get to work by 3. It's going to be a very long day tomorrow. After that, I don't plan on doing any more trips until the big trip beginning July 6. Gas price check: as of Friday morning, the 7-11 by OKRoads headquarters was $1.84/gallon. The Conoco about five miles to the east of here near Freeman is at $1.89/gallon, and prices in Louisburg, Kansas, 10 miles to the west, are about $1.96/gallon. Good evening. Last week was a good week. I got to meet a few new people at church which is always a blessing. But it was also a tough week in some ways as I had to say farewell to some of my friends who have either gone home for the summer or who are going to serve the Lord somewhere else. This is a bittersweet time of year for me, because at the same time I get to meet new people, the old friends leave as well. Then when they're all gone, I'm left here with no clue on what to do next. One thing I do know is that Friday morning I will be leaving for the Kansas City area for a short weekend roadtrip. As stated last week, I will be seeing my cousin graduate from the University of Kansas. Look for new coverage of U.S. 69 in Kansas in the near future. I also am hoping I can squeeze in a mini-sidetrip during the weekend. After creating the new Interstate 635 Kansas/Missouri pages this past week and seeing my pictures of that highway, I found that the pictures I have are pretty poor, and I would like to get new ones. So hopefully I can sneak away for a few minutes to get better pictures of Interstate 635. No matter what, though, there will be several new pictures on the website after this upcoming weekend. I got a lot of webpages done this past week. It also helped that I've worked the past four nights during the graveyard shift. So with nothing much else to do and no homework to do, I created new pages. This week's plan is to begin work on Interstate 40 pages, which will take some time, since I've driven Interstate 40 several different times in my life. I also plan to drive it from here to its eastern terminus during this summer's roadtrip, which will allow me to clinch that interstate. After I return from my trip to Kansas, I will take a few weeks (or however long it takes) and create webpages from South Texas Part Two and from the trip next weekend. So after this week it may be a while before I get back to work on the new highway guides with old pictures. But I'm sure y'all won't mind, since y'all will get to see some new pictures from OKRoads for a change! That's about all I have for tonight. Next week I will be writing from the Kansas City area, as long as my family allows me to use my computer up there. See y'all later, and drive safely. Tonight's topic: It is finished! Plus, surprise roadtrip coming in 11 days! Good evening. Welcome to my first rant entry since I entered the 17th grade. Boy it feels good to be done with another semester. Looks like I'll get all B's this semester, except for my Walking Fitness class, which I should hopefully get an A in. Since that class' grade does not figured into my overall grade point average, it doesn't really matter what I make in that class as long as I passed. Due to some unexpected circumstances and seeing some things work out, I will be taking a short roadtrip on the weekend of May 21-22. I will be seeing my cousin graduate from the University of Kansas, while spending time with my relatives near Kansas City. Unfortunately, it looks like my time to do sidetripping will be nonexistent, but that isn't going to stop me from taking my camera along anyway and snapping new pictures of Interstate 44 in Oklahoma and southwest Missouri and U.S. 71 in Missouri. I will also be covering most of U.S. 69 in Kansas, so look for new coverage of that soon on OKRoads. Hey, I'm just excited to get the opportunity to go. I haven't had a weekend off since the Spring Training 2004 Roadtrip last March! Maybe this trip will help me forget for a little bit about all of the people in my life who are moving on to serve the Lord somewhere else. This summer looks like it could be a repeat of last summer. But I don't think it will be as bad, because I know more people this time around. Gas price update: $1.91/gallon at the local 7-11. Spotted $1.90/gallon tonight near the church I attend. Unfortunately, no new signs went up on Interstate 35 last week. This may have been due to the weather. So, the Memorial Rd. exit on Interstate 35 North still has a gore sign for Exit 137, which should actually be at the N.E. 122nd St. exit one mile south. Since I am now done for the semester, I am now working on web pages again! I hope to complete the Interstate 35 pages tomorrow (basically, cut and paste from the old to the new for Interstate 35 Iowa and Interstate 35 Minnesota), and begin working on the Interstate x35 pages. I will continue making new pages for a couple of weeks, then go back and create some pages from South Texas Part 2, and adding pictures from that trip to already existing pages. Well it was two years ago today that the May 8 tornado hit Moore, Oklahoma. As y'all might remember, I was working at Wendy's in Moore at the time, and we caught the edge of the tornado. The twister brought an early end to the original official car of OKRoads, and allowed the new official car of OKRoads to move in. I got the 2002 Lancer two years ago Thursday with 27,000 miles on it, and now it has over 93,000 miles on it. That's what happens when you drive it through 70% of the states in the nation! I'm going to close for now. See y'all later, and drive safely. Good evening. Is it just me or are my rant entries being written earlier? Maybe it's because I just want to get them done so I can sleep. Anyway, this week is finals week at college. So I will be wrapping up my 16th grade year this week, Lord willing. Hopefully I will only need one semester in 17th grade to be able to graduate. The sign replacement on Interstate 35 continues. One goof I have photographed is a gore point sign on Interstate 35 North at Memorial Rd. The gore point sign says Exit 137. Only problem is, Exit 137 is for N.E. 122nd St., one mile to the south! Memorial Rd. is actually Exit 138D. I did photograph the new signs on Friday, and will have them up on OKHighways sometime before the end of the year. I have finished the Interstate 35 Texas pages. This week I hope to do pages for Interstate 35E and Interstate 35W in Texas, and hopefully get a couple more Interstate 35 pages done. Please be patient - this process of making new pages is taking a lot longer than planned due to excessive schoolwork. But since this week is finals week, I will actually have some spare time! I won't know what to do with it all! I am planning on taking a couple of roadtrips around Oklahoma, one in mid-May and the other in mid-June. I hope to make a trip to the Tulsa area and get some new pictures for OKHighways. I also plan on getting some more new pictures around Oklahoma City. Well, that's all I have for tonight. See y'all later, and drive safely. Good evening. As of the time of this writing, there should be about five new signs on Interstate 35 in northeast Oklahoma City. The two signs on Interstate 35 South/Interstate 44 West approaching N.E. 122nd St. were replaced last weekend, while the three signs on Interstate 35 North/Interstate 44 East at Wilshire were to be replaced this morning. Once all the signs go up, you can be sure that pictures will be on OKHighways. Also, the sign on Interstate 240 East at Interstate 35 South now has an "Exit 4A" tab, but now the gore point signage is gone. Weird. Anyway, today was a pretty good day, even though it fell short of last Sunday. We once again had 14 total bus riders on Bus Sunday. This year, we were set to go against another bus in the Church Bus Clash. It was throughout the month of April, and we never had the lead. Until today. We had two less riders than the other bus did, but we had more visitors and were more above our average. And with points doubled today, we won a nice trophy. I still can't believe that we actually won something on Bus 1! Well, I spoke too soon about gas prices. I gassed up the official car tonight at the same 7-11 I told y'all about last week, and gas is now $2.03/gallon. Doh! For a couple of hours last Monday, the price was $1.89/gallon. But it went up from there and now we're back to over $2/gallon again. Oh well. I am glad last week is over. With all the tests I had, my mind is about gone. I also had a kind of long weekend with a lot of things going on, so I'm pretty tired too. That's why I'm writing this so early tonight. Part of me is looking forward to this summer, and part of me is not. The part that is looking forward to it has the Summer 2005 Roadtrip. The other part says that a lot of people I've got to know will be leaving again. Which means that I have to go look for a new bus worker, since my favorite female worker (OK, the only one we have right now) is going back home for the summer. But Lord willing she will be back next school year. I sure hope so. Too much good has happened as of late for it to end now. It will just be on a 3-month hiatus. But I just need to be reminded that I need to rely on the Lord and not on people to get me through. One last thing - my old high school classmate Billy Bajema got drafted in the NFL draft by the San Francisco 49ers. He was drafted 249th out of 255 picks. But hey, it's still pretty cool to say that I went to high school with someone who got drafted in a draft with as much lore as the NFL draft. And just one more sports-related topic: the Yankees are in last place. Amen! Good evening. The Summer 2005 Roadtrip now has specific dates scheduled. It will take place from June 15-24, Lord willing. The trip plan is still the same as it has been, with OKRoads covering a lot of the eastern half of the country, from the southeast to the Mid-Atlantic. Sorry, no New England states this year. Maybe next year when I'm a college graduate with a real job where I make more money and have more paid vacation time. Amen! Today was the best day I've had all year. The Lord really blessed the day today. We had a good day on the bus, with 14 total riders. I got to meet a couple of new people, including a nice young lady from church, which does not happen to me too often. An old friend of mine who has been away from church and from the Lord for a couple of years came to church this morning. And I got to have some good conversations about specific issues with certain people. That's as far as I'll go on that. But it was a great day. Now it's back to reality, where I've got four tests to take this week out of the five classes I have tests in, and it's not even finals week yet! That week is still two weeks away. During finals week, I won't have as many tests as I have this week! Sign supports have now been buried along Interstate 35 down to N.E. 10th St. Now if we can just see some new signs go up that would be great. Gas prices have fallen here in Oklahoma City. At the 7-11 about 1/2 mile from my house, unleaded gas was at $1.91/gallon as of the time of this writing! Yes, you read that right; nine whole cents below $2/gallon! If you like cheap gas, live in the same area I live. We have probably the cheapest gas prices in the city in these parts. I finally got to work on some pages this past week. I have started the Interstate 35 Texas pages. Due to the length of the interstate in Texas and the number of pictures I have of the interstate, the page making process will take a few days. Combined with my tests this week, if I am working on the Interstate 35 Missouri page by the end of the week, that would be great progress in my book. Well, that's about all I have to say tonight. After a day like today, I'm not looking forward to Monday tomorrow. It would be difficult for another day to top this one. Maybe if the day I go out on my first "date" happens this year, that day would pass today for being the best day of the year, but I'm not seeing that happening. But no matter what, the Lord is still good to me, and has been way better to me than I deserve. See y'all later, and drive safely. Good evening. I have finally renamed all the pictures from last month's roadtrip and have re-uploaded them to the site. So I should hopefully resume working on highway guides this week. The next highway guides to do are for Interstate 35, which will take me some time since I've driven all of Interstate 35. I began enrolling for the fall semester this past weekend. It looks like that the fall semester should be my final semester of college. Hopefully the graduation committee will see things the same way I do and will let me graduate in December. As of right now, I am only taking 12 hours next semester, with two classes each day five days a week. Construction is underway at the Interstate 35/Interstate 44 West interchange. It is a bridge deck repair project. But the main delay is that the ramp from Interstate 44 East to Interstate 35 North will be closed for about 11 hours every night from 7 pm to 6 am. In other words, Interstate 44 East will be closed every night through May for this. ODOT is advising motorists to use Interstate 235 as an alternate route. No new signs have gone up yet on Interstate 35, but more sign supports are being erected in the ground. Last week, supports were placed from Interstate 44 West to N.E. 50th. Hopefully some of the new signs will go up before my last day of finals on May 6. That's about all I have for tonight. See y'all later, and drive safely. Tonight's topic: Glad last week is over! Good evening. Last week was a bit of a rough week. But I got everything done on time, and I passed everything, so I did all right. I didn't have any time to do anything with the website, though. This week, I hope to start actually renaming pictures from Day One of South Texas Part 2. I did finish going through all of the pictures and writing down new file names, now, it's just renaming them on the actual site. Got to spend some time with my best friend from junior high and high school this past week. It was the first time I had seen him in almost two years. We basically grew up together but now we're both so busy with our own lives that it made it possible for us to not see each other for a long period of time even though we still live in the same city. I don't have much else to say, so see y'all later, and drive safely. Good evening. Last week was a long week, and this week looks to be even longer. I've got a test tomorrow, a test Tuesday, and I have to interview someone in the banking industry and write a short summary of it by Thursday. So I'm going to have a really fun week. I hope to start renaming pictures from South Texas Part 2 by the end of the week. Presently, I am going through Day Three's pictures and writing down the file names to rename the pictures, then when that is complete, I will actually go in and rename all the pictures on the website. Just six more weeks left this semester (including finals week) and this semester is over. I'm looking forward to it. I didn't really have anything interesting happen last week so I'll close. See y'all later, and drive safely. Good evening. The South Texas Roadtrip Part 2 was a pretty good trip for the most part. Except for clouds and light sprinkles on Wednesday, and the fact that many of my pictures from the first two days were blurry (especially on Thursday) because I hadn't quite figured out all my new camera's little tricks yet, the trip went great. I give it an 8.5 out of 10, with 10 being perfect. I haven't had a trip be a 10 yet on that scale. Anyway, I took a whole lot of pictures during the trip's three days and 1,889 miles. Currently, the pictures are named according to the file name the camera gave them, so they are all numbered. I will post a list matching the pictures' file names with the highway they are of. That will hopefully aid those of you who would like to look at the trip's pictures. I will eventually get the file names changed to the usual file names, but with about 2,000 pictures to go through, it will take me a while. This trip was too short to have any awards, so I'll sum it up like this: I drove 685 miles on Day One, 759 miles on Day Two, and 443 miles on Day Three. I clinched Interstate 10 in the state of Texas, and also clinched Interstates 345, 410, and 610 in Texas. I have to go back to school tomorrow. I am not looking forward to it. But I just have about six weeks of school left, and then it will be summer break. Since South Texas Part 2 has come and gone, I am now looking forward to this summer's trip. As of right now, it is still planned to go through the eastern half of the country. See the Summer 2005 Roadtrip page for more information. And it does not look like the trip route is going to be changing. This morning's topic: It's almost here! Good morning. I am at work at this hour, but in just about 54 hours, I will be on the road! South Texas Roadtrip Part 2 is scheduled to begin early Wednesday morning! In this morning's entry, I plan to go into detail on what I plan to see during the trip, what I hope to accomplish, and what Spring Break parties I plan on going to on the way. OK, for those of you who know me well, I am not one for parties, and I was just kidding on that last part. I wouldn't want to get anywhere near the typical Spring Break parties in Texas anyway. That stuff is not for me. I'll say it again: I am not going to any parties during this trip, OK? Not gonna do it. Wouldn't be prudent. I'll be too busy driving and taking pictures of road signs, thank you very much! As with any good plan, let us begin with Day One. On Wednesday morning, I plan to leave at about 6:30 am, right as the sun is rising in Oklahoma City. I plan on driving south on Interstate 35 to Dallas, but with a slight diversion in Denton along Loop 288. The highway has always intrigued me, so I will finally be driving it. Then I will meet back up with Interstate 35E and take that south to the George Bush Turnpike, another highway that has intrigued me. I will drive the turnpike from Interstate 35E to TX 78, then take TX 78 to Interstate 635, and Interstate 635 West to U.S. 75, where I will see what progress has been made on the High Five interchange project since I was last in that area in July 2003. I will then take U.S. 75 South to Interstate 45, then will take that highway all the way to the Hardy Toll Road. Now entering the Houston area, I will take the Hardy Toll Road to Interstate 610 and do one clockwise loop around the Loop 610. After that, I will head back north on the Hardy Toll Road, and take that to the Sam Houston Tollway. I will do 1 1/4 counterclockwise loops around the Sam Houston Tollway, with the northwest section between the Hardy Toll Road and Interstate 10 being driven twice. After that, I will then go west on Interstate 10, where I hope to end up in either Sealy or Columbus for Night One. Day Two will begin from wherever I end up in Day One. (Duh!) This day's route is not nearly as complicated. I will be taking Interstate 10 West to the northwest corner of Interstate 410 in San Antonio, then will do one clockwise loop around Interstate 410. I will then meet back up with Interstate 10 and take that west to Interstate 20, then Interstate 20 East to Midland or Odessa, where I hope to end Day Two at. Finally, Day Three will begin from wherever I end up from Day Two. (I'm just being really obvious tonight, aren't I? Can't help it; I've been awake almost non-stop since 10 pm Saturday night!) I will take Interstate 20 East to U.S. 277 in Abilene, take U.S. 277 North to Interstate 44 in Wichita Falls, then take Interstate 44 home. In the words of Ben Stein: Wow, awesome. So Day One sounds like it will be more action packed than the other two days put together, in more ways than one! Traveling through both Dallas and Houston in the same day will guarantee me lots of pictures, and since I now have a new camera and am able to take much more pictures at a higher quality than I used to be able to, I fully expect there to be well over 500 pictures from Day One. Actually, I wouldn't be surprised if there were closer to 1,000 pictures from that day! The two memory sticks I have can hold about that many pictures. On Day Two, the only city I will be driving through is San Antonio, so I expect to drive more miles on Day Two than Day One. Day Three will be whatever I don't finish in Days One and Two, which will hopefully be not too much. Weather looks like it will be interesting on Wednesday, with rain in the forecast. But the other two days look fantastic, with sunny skies and good times all around. As for extra stuff, such as sightseeing, due to time constraints, I don't really have any sightseeing planned, besides the sights I will see on the road. Sorry, maybe this summer's trip will have some sightseeing in it. I finally got the windshield on my car replaced on Friday. Now as long as I don't get another crack in it during this trip, we'll be just fine. New road sign alert: Interstate 240 West at the Shields exit has a new sign. The sign now includes Santa Fe Ave., which is 1/2 mile to the west of Shields, with no other access from the interstate. Picture coming soon, I guarantee it. Also, I noticed sign crews putting in metal supports in the ground for new signs on Interstate 35 between Britton Rd. and the Kilpatrick Turnpike, so that, combined with the new supports between the Kilpatrick and at least U.S. 77 South that were installed in January and February, means that new signs are coming soon to Interstate 35 in northeast Oklahoma City. I took one final test run with the new camera on Wednesday. Pictures can be seen here. I still haven't quite figured out how to photograph ground-level BGSs without cutting off part or all of the sign which I need to get down pat fast, because come Wednesday, I'll be attempting to get a lot of pictures of those signs. But besides that, the new camera is great. It's done good for me thus far. Its true test comes this week. Well, back to reality, I have tax accounting homework to finish so I can really start enjoying Spring Break! This is the first time in a few years that I'm still at home on the first Sunday of Spring Break! During my Spring Break trips the past two years, I have left for those trips within just a couple of hours after my last class ended. Not the case this year, but I'm just thankful to get a couple of days off work and to be able to do this trip! Because I didn't even get the idea for this trip until mid-February! OK, I really need to shut up now. See y'all later, and drive safely. Tonight's topic: Almost nine days left to go! Good evening. Another missions conference has come and gone at my church, and it was a good one. I wasn't able to play as much a part in this year's due to work, but still got a blessing out of it. Anyway, this week is the final week of classes before Spring Break. Which means that next Wednesday is Day One of South Texas Roadtrip Part 2! I am looking forward to it very much, because the last time I was out of state was August! Anyway, during next week's entry, I will go into detail on what I hope to accomplish on the trip, and what I hope to get pictures of. I did yet another test run with the new camera this week. You can see the pictures here. I will do one final test run with the new camera this week, then hopefully, I'll be ready to put the camera into really good use during the roadtrip next week. That's really about all I have for tonight. See y'all later, and drive safely. Good evening. The days of using floppy disks to save my road sign pictures are now over, as I have purchased a new camera. The new official camera of OKRoads and OKHighways is a Sony CyberShot DSC-P100 5.1 megapixel camera. I did a test run of sorts with the new camera on Thursday, you can see the 135 pictures I took that day around Oklahoma City here. So be prepared for many more pictures than usual for the South Texas Roadtrip Part 2, which is about to become 16 days away! This upcoming Wednesday through Sunday is the missions conference at my church. It is among the main highlights of the year around the church. (Personally, the main highlight for me is the Southern Gospel Jubilee, which I hope they actually have this year!) Although my work and school schedule will not allow me to attend many services this year, I will still try to be a part of what I possibly can. Just two more weeks of school and it's time for Spring Break! In 25 hours, it will be March. This year has gone by very fast! Not too much has changed; I still work 40 hours a week, I'm still single (even though I'm working on that! ), and I haven't been out of the metro area this year. Come on March 16, get here so I can get out of here! Well, that's about all I have for tonight. See y'all later, and drive safely. Good evening. Today has been a very long day, so I'm going to keep this short. The main development from last week is that I am able to take a day off in March to do South Texas Roadtrip Part 2. So barring any unforeseen circumstances, the trip will kick off on the morning of March 16! That is about 24 days from now. Ah, it feels good to be doing a countdown for a roadtrip again! Also I drove on Interstate 40 a few times this past week, and was disappointed to find just three new signs. A couple of weeks ago, I thought that all the signs were going to be replaced. Well, the only ones that were are on eastbound for the Walker exit. The only difference between the new signs and the old ones? The new signs include Downtown, whereas the old ones did not. As Ben Stein says, wow. Awesome. I got several new pages done this past week. I got pages done for Interstate 16, Interstate 17, Interstate 19, and Interstate 20. I got started on Interstate 24 this morning. I am hoping to complete all of the new interstate guides by the end of March. That's all I have to write about tonight. See y'all later, and drive safely. Good evening. Early this morning while I was at work, I came up with a great idea: take a day off work during Spring Break and take a roadtrip to Texas. Within two hours, I had a trip route planned and a page made here at OKRoads. I even came up with a name for it: South Texas Roadtrip Part 2. This trip will take me to Houston, San Antonio, and west Texas. The plan is to drive the Sam Houston Tollway and Interstate 610 around Houston, and Interstate 410 around San Antonio, before heading further west on Interstate 10 to Interstate 20, which would give me all of Interstate 10 driven between west Phoenix and Interstate 75 in Florida. This would also allow me to nearly clinch all of Texas' interstate mileage. The only interstate left to drive on after this trip if it goes according to plan will be hidden Interstate 110 in El Paso, and that highway's only about a mile long. Since Texas has more interstate mileage than any other state, this would be quite an accomplishment. With the exception of Interstate 27, every interstate in Texas will be photographed in detail at OKRoads. Of course, all of this depends on whether I can actually get off work for one day, but hopefully it won't be a problem, since I haven't taken an extra day off in a while. I am very much looking forward to getting out of the state! This means that I'll need to get that windshield of mine replaced in the next month, since it's got a crack across the whole length of it. Road sign pictures do not look good with a crack in the windshield! Since I had tests most of last week, I didn't get much done on the website. I did finish the Interstate 10 guides and did the guides for Interstate 410 and Interstate 12. Lord willing, two of those three pages will be updated again after next month's roadtrip. :) This week, I hope to complete pages for Interstates 15, 16, 17, and 19. The last three shouldn't be too difficult, so I may even get started on Interstate 20 pages. Please continue to be patient with me during the website redesign. All of the roadtrip pages are complete, so if you know what trip I drove a particular highway on, and it doesn't have a guide yet, use the Roadtrips page to access the roadtrip pages. That's all I have to say for tonight. I need to do a bit of studying for tomorrow. See y'all later, and drive safely. Good evening. I apologize for the delayed update, but I started taking my Sunday afternoon nap at 3 pm yesterday and didn't wake up for the rest of the day! I wore up just after midnight this morning. Dazed and confused, I figured out what day it was, stayed up for an hour, then went back to sleep until I went to school this morning. So I haven't been too tired all day. I was really really tired, I guess! I needed the sleep, though, because I've got several tests this week and next week at school. The website redesign is going OK. I have completed all of the roadtrip pages and a couple of the highway guides. In Oklahoma City road news, new signs have gone up on Interstate 240 between Air Depot and Interstate 40. Too bad there is still no "END" sign at the eastern terminus! Oh well, with the new signs, the old signs at Anderson Rd. that simply said "Next Right" instead of a sign with the exit arrow are now gone, at least, on eastbound. On westbound, a new sign with "Next Right" is up, along with a sign with the exit arrow just a few hundred feet later. Personally, I think they could've used the money they used on that repetitious sign on an "END Interstate 240" shield assembly, but that's just me. Also, new signs have gone up on Interstate 40 between Interstate 44 and Interstate 35. This came as a surprise to me because there weren't any new signs sitting over at the road sign place, so another manufacturer must have made the signs. As of Friday afternoon, only one new sign was up, but I spotted two new ones today near Interstate 235, both advertising the Bricktown entertainment district. Tonight's topic: New site is up, at least, a little bit of it is! Good evening, and welcome to the redesigned OKRoads and The Rant. Unfortunately, I didn't get as much done last week as I had hoped, so there is still a lot left to be done. If you can't find your favorite page, I have linked to the old index on the homepage (and will link to it again here). I haven't deleted any pages, and chances are I never will, since I've got a lot of extra disk space. When everything gets done, which I hope will be by Spring Break, I hope that you will find that the site will be easier to get around. For example, to access, let's say, the page for Interstate 5, one would have to know what roadtrip I drove it on (Deserts & Mountains), and then click through there. Or one could have found in the site map or via the search box on the home page. With the new site, all that has to be done now is click on either one of the highway guides lists, find the number or state, and then click on that. As more pages are made, I hope y'all get an idea of what I'm trying to do and I hope it makes accessing the site easier. By the way, the screen setting should still be set to 1024x768, but at 800x600 you will still get most of the website in the same window, whereas on the old site, a lot of horizontal scrolling was involved for lower screen settings. It's a bit difficult for me sometimes to tell what will work, considering that I use a laptop to build the site, and the screen settings on it are weird. New signs began going up on Interstate 240 between Douglas and Interstate 40 this past week. I will make a trip there soon to take pictures of the new signs for OKHighways. Also, the "END" Interstate 240 sign assembly at its western terminus has a new shield and a new "END" tab, so I will take pictures of that too. I just hope that they put up a new "END" sign at Interstate 240's eastern terminus. I believe there was one there at one time, but it was before I started taking road sign pictures. Finally, the crazy construction zone on Meridian is no more for now, as all four lanes are now open. This is on the Oklahoma River bridge that had the signs that said that both the left and right lanes were closed! Read Entry 112 for more about that. I'm just glad it's over. Well, that's all I have for tonight. I hope y'all enjoy the new design of OKRoads. See y'all later, and drive safely. Good evening. 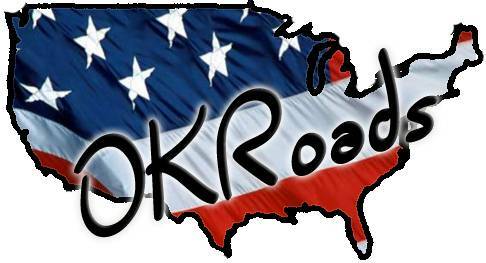 I am continuing to work on the new design for OKRoads. I plan to post the new pages I've created up to that point to the site next Monday. There will still be a lot left to do after that, unless I get a lot more done this week than I think I will, but what is there will be there. Construction has begun on Interstate 40 just west of Interstate 44. The construction is only between MacArthur and Interstate 44. The speed limit is 50 mph throughout the zone, with narrowed lanes. The project will add a much-needed concrete barrier to the median and will add a lane to westbound Interstate 40. Someday I will take the official camera and take pictures of the construction. I don't have too much else going on right now, so I will leave you. This will be the final Road Rant entry, as after next week, this column will officially be called "The Rant." Not much difference, but it's different nonetheless. See y'all later, and drive safely. Good afternoon, and happy MLK Jr. day. I have decided to redesign OKRoads.com into what I hope will be an easier site to navigate. I am working on a new design for the pages. Some of them will be up by the end of the week. There may be some dead links on pages for a while until I get them created, but I hope to get a skeleton of the new site up and running soon. After one week of the spring semester, I am still making straight A's. Well, OK, I haven't had any assignments due yet. That changes Wednesday. But today I am enjoying a day out of school for the holiday. It's the only day off this semester besides Spring Break, so I'd better enjoy it. The beginning of construction on Interstate 40 in west Oklahoma City has been pushed back a week. It is now scheduled to begin this Friday. Confused? I know I am. Just think of all the people who travel this busy street from the airport who see that, and then have to get over at the last second because it is the left lane that's closed! Now, for a while, it was the right lane that was closed, but now it's the left lane. Yet, only two signs say that. And this is during phase one of a 3-phase project. Yikes. That's all I have for today. See y'all later, and drive safely. Good evening. Well, my winter break officially ends tomorrow at 10 am, as that is when I begin the Spring 2005 semester. I have six classes this semester, and am back to going five days a week. I am going to be a very busy man with little time to do much of anything except go to school, work, and church, and eat and sleep. From MacArthur to Interstate 44, the interstate will be widened from six to eight lanes. Also, a concrete barrier will be erected in the median. This should help prevent the many crossover accidents that have happened here. This will also take care of the terrible pavement in this area. As for the area from Interstate 44 to Agnew, I don't know what's going on there. There is a sign at the Council Rd. exit (Exit 143) that the road work is for the next five miles, which would make the other end of the work zone at mile 148, which is around the Agnew exit. So if you can stay away from that area, then it would probably be wise to do so. Good evening, and happy new year from all of us at OKRoads. Oh, wait, there's just one of us. So I'll rephrase it this way: happy new year from me. There. Anyway, it's going to be a busy start to the year 2005 for me. I've got a long week ahead at work as I will be getting trained on our new computer system. Then I start the spring semester next Monday. So I won't really have much time to relax for the next few months. The plan is to take Interstate 40 as far east as it goes (in other words, to Wilmington, North Carolina). This would allow me to clinch Interstate 40, which would make it the longest interstate I've clinched. Then I would go south on U.S. 17 from Wilmington to Charleston, South Carolina, where I would take Interstate 26 northwest to its end in Johnson City, Tennessee. I would stay on that freeway and clinch Interstate 181. Then I would head east on U.S. 58 to connect to Interstate 81. I would take Interstate 81 North (actually east) to Interstate 77, and take that north to Charleston, West Virginia. (Two Charleston's in one trip!) Then I would get on Interstate 79 and take that to its northern end in Erie, Pennsylvania (clinching that interstate), with a sidetrip to the Pittsburgh area. From there, I would head east to Interstate 86, and clinch that interstate. It would be there that I would enter the only new state for me on the trip, New York. I would then go north on Interstate 390 to Rochester, then hit the New York State Thruway (Interstate 90) west through Buffalo (with a sidetrip there too) to Cleveland. There, I would go on Interstate 71 South to Louisville (which will, again, clinch that interstate). After that, I would go south on Interstate 65 to Mobile, Alabama. Then I would go west on Interstate 10, then north on Interstate 59, then west on Interstate 20, then north on Interstate 35 to home. All in all, it looks like about 5,000 miles of driving fun. I am already getting excited about it, because it would take me through a lot of new cities, including Asheville, Raleigh/Durham, Wilmington, Charleston (SC; already been to WV once before), Pittsburgh, Rochester, Buffalo, Cleveland, Cincinnati, and Montgomery. Have I confused y'all yet? Good. There you go. Besides that, I don't have too much else to say tonight. So see y'all later, and drive safely.